all you can about animals as persons/the names of trees and flowers and weeds/names of stars/ and the movement of the planets/and the moon/your own six senses/with a watchful and elegant mind. Snyder is visiting here next week to read some of his work. I traveled a bit about 12 years ago to hear him read at a small college in a small town in Minnesota. The occasion was the publication of his epic Mountains & Rivers Without End, literally a life-long work gathering together and naming the wild things in the poet’s well-spent life. 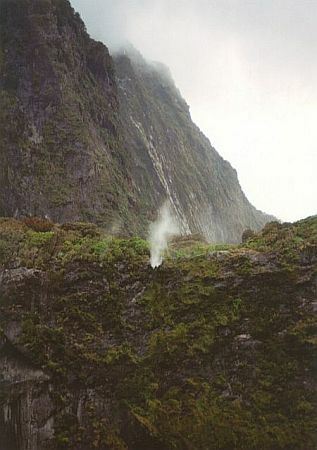 Improbably rigorous training in Japan’s zen monasteries, a brush with hagiography in the various chronicles written about the Beat Generation, several wives and numerous children, an unwavering dedication to the ecology, both local and global, and his practice of deep listening in order to speak plainly about mountains, water and wind – this is the journey engraved in Snyder’s face. Anticipating seeing and hearing Snyder again, I have traveled back much farther tonight, recalling my first encounter with him. I was hospitalized in 1969, confined to bed for several days, constrained by IVs and fever. I shared an inhospitable room with a garrulous fellow, maybe 30 years older than me. I was an avid reader – he saw this and handed me a copy of Kerouac’s The Dharma Bums, saying, “Read this kid!” Kerouac’s relatively straight-forward narrative of meeting and hanging with Gary Snyder [Japhy Ryder in the picaresque fictional account of their days together] blew my mind. It was my first taste of a number of subsequently acquired tastes, including Buddhism of the Japanese lineage. I mention this to frame the deep [and long] appreciation I hold for Snyder’s infusion of Buddhist ethics and a genuine sense of stewardship of earth’s resources into the drug-soaked, happily aimless lives of many of my generation. Snyder rendered listening to the wild cool, and worthwhile, in a way the John Muir minions could not. 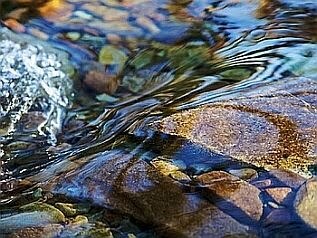 When creeks are full/the poems flow, Snyder wrote, binding the elemental surrounding him with his own creative urge. Also this – Your water is light/to my mouth/And a light to my dry body/your flowing/Music/in my ears/Flowing free. Eric La Casa has spent 12 years listening to the wild, 10 of them documented on his 2010 2-CD release W2. With acutely attuned ears and intuitively placed microphones, La Casa focused from 1998 to 2008 nearly exclusively on the sounds of water and wind. He describes his work as improvisations with the sonic locale, less interested than many of his contemporaries in capturing and evoking a location, more interested in what he calls, variously, the pulsing of the world, an ineffable tumult, and the alchemy of water and stone. You won’t be far into W2‘s chronicle of La Casa’s last decade of traveling, listening, and recording, before you are pole-axed by the drama, intensity and elegance of what he heard. Some of the pieces own tensions and frissons akin to any orchestral works I could cite; several are laminal and offer an envelopment rivaling that of machine-made drone works. How does La Casa create work so distinct from mere field recordists? I couldn’t tell you, but I can offer a few reflections that arose as I listened to W2 with the best suspension of discriminating between instrumental music/location recordings I could muster. said in one interview, the instant when listening, landscape and time become one. The two CDs bear the rubrics Wind and Water; you will hear both forces on both CDs, even, occasionally, humans and machines. The ineffable tumult La Casa references is pervasive across both discs; these are not recordings offering a tamed natural world, much less a soporific one. There are startling moments of hell-raising racket [there is, as well, the percussive play of the plinks and droplets of water’s small, patterned sounds, and some assuaging, at least temporarily, breezes]. It is the wind disc, however, that most strongly evokes for me the idea of La Casa’s orchestration of the rawest elements – while the water disc offers a range of sounds from pointillistic [droplets] to thunderously symphonic [great cataracts and torrents are loosed! ], the wind music is terrifyingly forceful at times, impossible to gild with romantic or lyrical associations. La Casa shapes the high-pressured, gathering power of a wind storm like a hair-raising, ascending orchestral work. In one piece the wind is exciting and agitating some sort of metal structure, and the resultant protesting groans and howls of metal, well, bring that aforementioned pole-axing I promised. 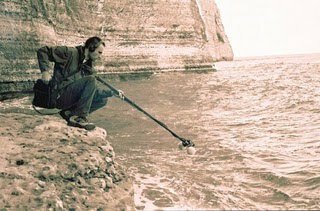 water music really is; most such signifiers strain to convey what a sound sounds like – words like location recording, electro-acoustic improvisation, modern classical, et. al. La Casa’s water music, in other words, owns such a vast range of sources and sonics, how could they all be contained in water? You are presented with sections and movements of engorged rivers, rain pelts, cave-reverbed drips and plonks, oscillations and waves that sing and cease altogether. La Casa’s contemporaries, at least those who approach this level of richness, sonic diversity and uncontrived drama, are Toshiya Tsunoda, Chris Watson and, with a gusto akin to both Snyder and La Casa, Jeph Jerman. 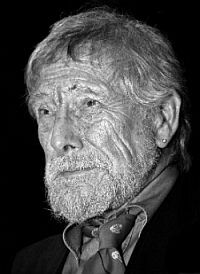 In literature, there is Gary Snyder, the poet who, as he put it long ago, moves in and makes home in the whole. I wanted to say something about Snyder’s deep connectedness to the elemental by drawing attention to his most lived-in face; his incantatory poetry speaks for itself. I also wanted to say something about how disconnected most of us who listen to this music are from the practice of the wild, at least a practice that includes actual exposure to the elements heard in La Casa’s music. Perhaps another time I can write about the strangeness of our listening to the heaving, pulsing cataracts of the natural world through stereo speakers, rather than being engraved, as both Snyder and La Casa are, with the sources of this music. Some of us clearly want to be moved by these forces, seeking them in the music and poetry of these watchful and elegant minds. Eric La Casa’s W2 is essential, elemental music, give it your ears. Eric La Casa’s quotes are culled from several interviews, as well as a few notes on his web site. This entry was posted in music writing on April 10, 2011 by jessewgoin. Elegant column, Crow. See you at Snyder's reading. jesse, do you have any contact info for gary snyder by any chance? ive been wanting to send him a CD of mine that i dedicated to him. get in touch if you have any leads. also, i wish he would come to vermont sometime! i don't, greg; he's in nevada city, calif. the route i've gome with like writers is via their publisher-that worked with peter matthiessen, barry magid and david chadwick.